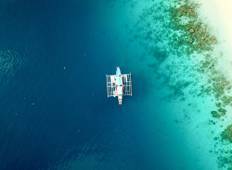 Find a Boat trip that explores Philippines. There are 4 tours to choose from, that range in length from days up to days. The most popular month for these tours is , which has the most tour departures. "The best boat tour I’ve ever experienced in my life. The itinerary was just perfect..."
"This is a once in a lifetime trip. I’ve travelled a lot of islands but none quite..."
"This trip changed my life! 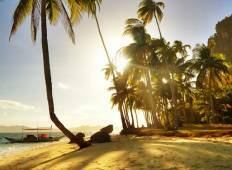 I can’t believe how fortunate we were to island hop,..."